Based on the hit animated television show, Transformers: Prime lets fans play as their favorite Autobot characters and embark on an action-packed adventure to save the earth from the evil Megatron and his new secret weapon. Players step into the roles of Optimus Prime, Bumblebee, Arcee, Ratchet, Bulkhead and more as they explore unique vistas all around the world with brawler-style combat and diverse driving sequences. 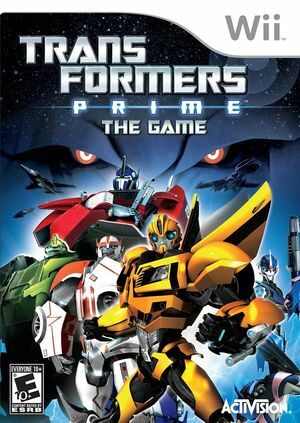 Along the way, gamers cultivate friendships with Jack, Miko and Raf - the human characters from the show - as Team Prime sets out to protect mankind and eliminate the Decpticons once and for all. The graph below charts the compatibility with Transformers: Prime since Dolphin's 2.0 release, listing revisions only where a compatibility change occurred. This page was last edited on 16 January 2018, at 03:47.